Since yesterday, Malaysian based Nigerian, Hushpuppi has been going on and on ranting on social media, doing what he knows best "causing Nigeria celebrities and showing off wealth on social media". He has been trending since yesterday and he fought with Phyno and Ice Price. But today is a different ball game. 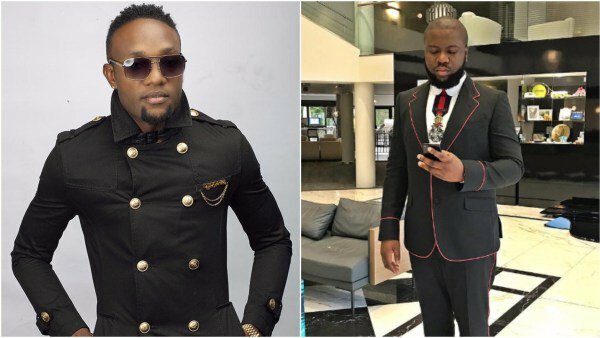 Singer Kcee hastaken it upon himself to petitioned the Economic Financial and Crimes Commission (EFCC), to look into Ray HushPuppi’s dealings and investigate how he makes his money. This is the latest in the drama ensuing between HushPuppi and rappers, Phyno and Ice Prince. “If you don’t want people to patronize pirated copy of your work, don’t patronize pirated copy of other’s work.#Hypocrites,” he wrote on his social media. “Dear Hushpuppi, We are musicians not paupers. Who exactly do you think you are to open your mouth and insult a musician that sweats day and night in the studio? “You have no credibility, no known source of income and yet you come on social media to attack hard working Nigerian musicians with traceable wealth. “Let’s face it, I think we’ve had enough of this nonsense and disrespect [from] you. Really, What do you do for a living, what is your talent, how did you make your money, what brand do you represent? “I will take it upon myself to raise a petition against you. We want to know your source of income since you now have the nerves to come on social media and call out a brand.